Black History Month invites us to reflect on the situation of black people throughout the world and also calls us to value the contribution of blacks to the advancement of our planet. We in the weekly bulletin of the National Center of the Haitian Apostolate and on the Radio Telé Solidarité have always striven to give interviews to black individuals who make history or make a difference in society. We were fortunate to have an interview with the Honorable Senator of Canada Dr. Marie Francoise Megie, the first senator of Haitian origin in Canada. 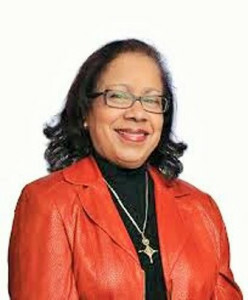 The rise of Dr. Marie Francoise Meggie is a great pride for the Haitian community of Quebec, the Diaspora and Haiti. Ms. Megie is a native of Jacmel. She is of the same city as the Right Honorable Ms. Michaelle Jean, former Governor General of Canada and Secretary of La Francophonie. We have great Haitian intellectuals who live in Quebec and who are great ambassadors of the Haitian community in the diaspora. Why is it so difficult to them to help their homeland get out of the rut of underdevelopment and poverty? The Honorable Senator Doctor Marie Francoise Megie spoke to us about her intellectual itinerary and her first years in Quebec. She arrived in 1976 as she was already a physician. She had to work very hard to practice her profession in Quebec. She was twice president of the association of Haitian doctors abroad. Dr. Megie talked about how she was chosen to be the senator of Canada and her work as a senator. She was not elected to the Senate nor is she a member of a political party in Canada. The work of the members of the Senate is to approve or reject the bills of law. She told us about her involvement with the group of GRAHN of Canada which inaugurated in Haiti in 2016 the first Haitian university to offer Doctoral training in Haiti. Doctor Samuel Pierre, Professor of engineering at the Polytechnic School of Montreal, in collaboration with a group of colleagues in Montreal, set up the City of Knowledge. Megie is very proud to contribute to this remarkable Association. I would like to thank Dr. Maxime Coles, former President of the Haitian Doctors’ Association Abroad who gave me the news of Dr. Megie’s elevation to the post of Senator. Doctor Coles is among the readers of the weekly newsletter of the National Center and Radio Telé Solidarité.